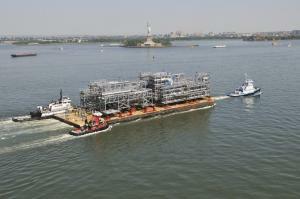 Astoria II is the second phase expansion of the power station located in Queens, New York owned by Astoria Energy LLC. Bay Ltd. completed the fabrication and assembly of six process and utility pipe rack modules weighing a total of 1,800 ton including piping and valves up to 30 inch. The work started in August 2009 and completed in April 2010 with a total of 180,000 hours of direct work. 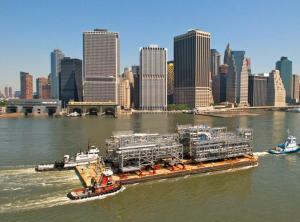 The units were loaded out by Bay to a customer supplied barge and shipped from the Bay Corpus Christi facility in May 2010 for delivery direct to Queens, New York.